CROS NT has a strong CRO management team with a wealth of experience in the life sciences and clinical trials sector. Paolo has over 18 years of experience in the pharmaceutical and CRO management industry across Statistics and Data Services. He bought CROS NT in 2003 and has grown the business by adding offices in Germany, the UK and the USA. Paolo is a Professor of Statistics at Bologna University. He is a council member at EFSPI (European Federation of Statisticians in the Pharmaceutical Industry). 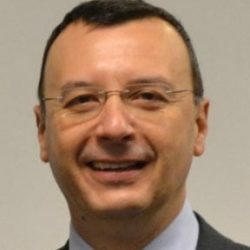 Paolo is the CEO of PM Holding, a group of Life Sciences companies which includes CROS NT. Andrea stepped into the role of Country Manager for CROS NT SrL in 2014 after being a Project Manager for CROS NT since 2011 when he joined the company. In his role as Project Manager, he managed a variety of projects in various therapeutic areas and was responsible for meeting timelines and budget requirements for key clients. 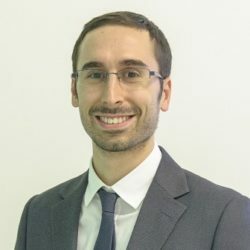 As engineer by background, Andrea began his career in 2007 in the Industrial Automation industry as a hardware engineer and then worked as a consultant in the manufacturing industry. 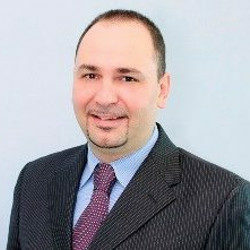 He has a degree in Engineering from Brescia University in Italy and an Executive Master’s degree in both Project Management and Business Administration. Andrea has Project Management Professional (PMP) certification. Fabio brings over 25 years of experience in the pharmaceutical industry to CROS NT, having extensive experience with large pharmaceutical and biotechnology companies in Clinical Development, Medical Affairs and Market Access roles. Fabio covered the role of Scientist and Clinical Research Physician and Regional Medical Affairs Manager for the oncology division at Amgen followed by the Nephrology Therapeutic Area Leader & Development Operation Manager. 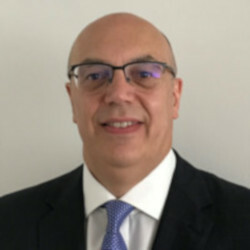 He also maintained important roles in large pharmaceutical companies including Onco-Haematology Medical Director for Roche, Corporate Medical Director and Market Access for Zambon Group and Medical Director at Alexion Pharmaceuticals. Fabio holds a Medical Degree (MD) and an MBA from Bocconi University in Milan. Vesna joined CROS NT in 2013 as a Business Development and Account Manager focusing on southern Europe. Her role progressed to Business Development Director for Europe and as of 2018, Vesna stepped into the role of Commercial Director overseeing global business development operations for CROS NT. Vesna has a background in pharmacy studies and began her career with some of the world’s largest pharmaceutical companies including GlaxoSmithKline and Pfizer. 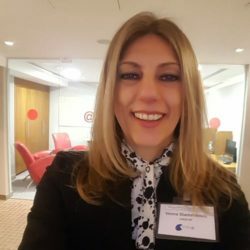 For over a decade now she has worked in the CRO sector and has a vast knowledge and understanding of the clinical trials process and drug development.